Java Server Pages (JSPs) are a simple but powerful technology used most often to generate dynamic HTML on the server side. They are a direct extension of Java servlets with the purpose of allowing the developer to embed Java logic directly into a requested document. 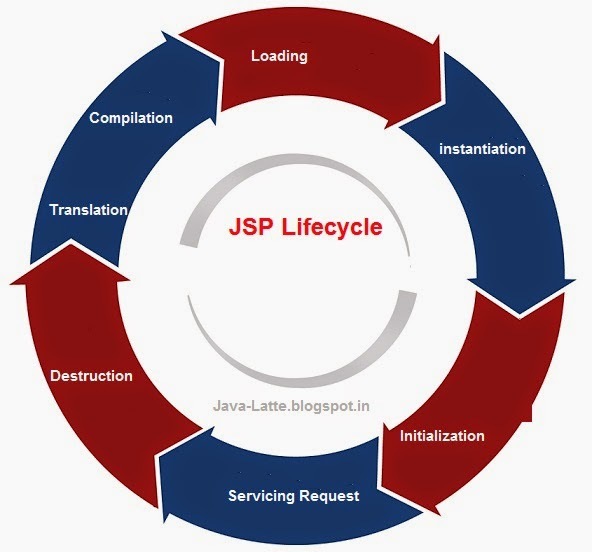 Using JSP Expression Language, you can develop powerful dynamic web pages powered by Java servlets without any Java code. A JSP document must end with a .jsp extension. The first time the file is requested, it is translated into a servlet and then compiled into a servlet class that is loaded into resident memory. 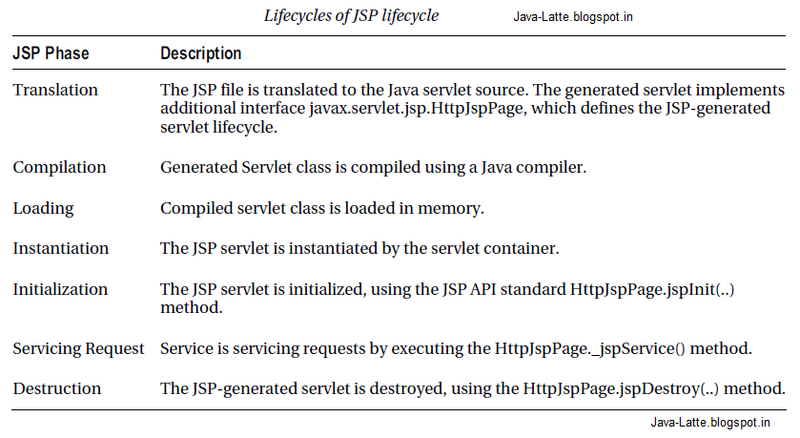 The JSP page then becomes a standard Java servlet, and it goes through the same lifecycle steps as servlet go: the servlet is instantiated, initialized, and it finally starts to service the client requests until it’s destroyed. 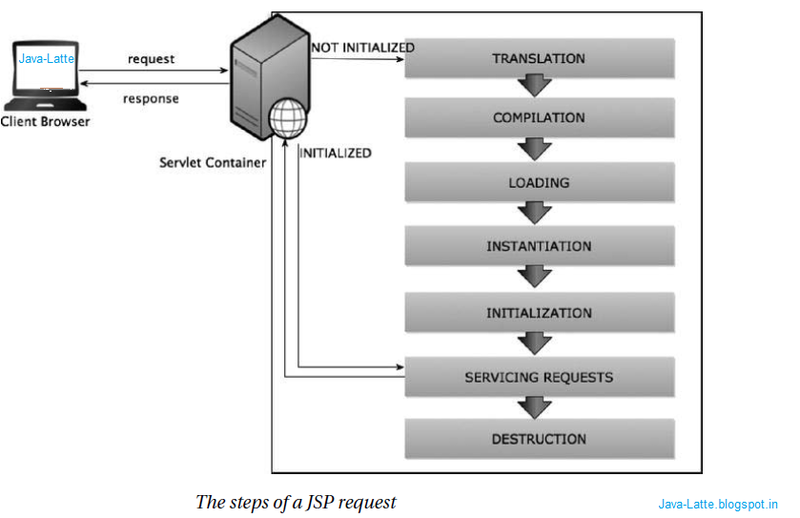 After the loaded JSP servlet services each request, the output is sent back to the requesting client. HttpJspPage.jspDestroy(..) for jsp servlet destruction. Note An essential point to remember about JSPs is that they are just servlets that are created from a combination of HTML and Java source. Therefore, they have the same resources and functionality of a servlet.